What has barely been explored in TDM so far is the setting of the New World. This can be interpreted in a variety of ways: my own preference is the barren north with its rugged settlements, but untamed wilds, whaling ports and newly founded towns on the fringes of survival also options. My experience with the theme, both in my released missions and my WIPs, has been that it brims with potential for making experiences that feel raw and bleak. You're very far from home, the struggle against nature can be felt everywhere and the people who live here are inured to their constant hardship. Once you've established this, you're most of the way towards creating the psychological horror, the chill down the spine, that Petike was speaking of. So far I've sought to put this into practice in One Step Too Far's second part, and RJFerret's Window of Opportunity has some of these elements. So this is certainly something that can be done more of. Btw. clear idea – that never happens You might think you have a clear idea of what you want to do, but it always evolves into something much different in the end. Especially with your first map, the clear idea is something that will change, the more familiar you are with tools and tech, and there's nothing wrong with that. Also, getting feedback faster than in beta is also important. Having a gameplay prototype first, and sending it to people to play will give you early feedback on stuff that doesn't work, so you'll avoid spending time on making assets that would be discarded or modified. Changing stuff in latest stages is harder than deleting a few cubes or cylinders. I think mappers ought to try to make contest style missions more often that have strict space restrictions. A lot of T2 contests had that; all of Komag's contests for example. All mappers should study them in Dromed or DR IMO. They're wonderful lessons in efficiency, because you have to make every square inch count towards gameplay. And it ends up making them very fun to play. Some of my favorite FMs of all time were size-restricted contest FMs. I think mappers should give themselves the challenge to fit a whole FM in a tiny set space even without the contest. I don't think that the quality of a mission depends on any of those attributes. It doesn't play a role where the mission is set, or to which degrees it incorporates things like extensive story-telling. At first glance it might seem like we hold opposite views, but I can agree with this statement. A good horror mission can take place in a warehouse, a mansion, a city section, a ship etc. And I can imagine the same can be said for basically all other mission types as well, whether it's a curious evening stroll, a revenge, sabotage, detective etc. mission. It could be said it's a matter of creativity on the part of the author to be able to carve his setting into something which can achieve his desired effects. Authors are diverse, and I don't doubt each has his own set of talents, meaning they will excel at making particular mission types. In that sense it'd make sense to encourage diversity (i.e. by providing inspiration), as this might produce more engaging results than if the majority tried their luck at creating missions in the image of Life of a Party. I think that a mission author, independent from whether the mission is going to be short or long, small or big, should have a clear idea of what he is actually aiming for. What kind of feelings or thoughts should arise in the player when playing his mission? How could this be achieved? How did other games or FM's he has played achieve this goal? And, most important, how did other games and missions manage to mess things up? Doesn't tone/ setting and storytelling play into how the player should feel and the kinds of thoughts that should arise when playing? It agree that the quality of the mission doesn't exclusively rely on those things, but for any author it's certainly going to dictate a whole chunk of what you're trying to achieve. I think if you rip the tone/ setting/ storytelling out of even the best Thief missions, you're left with a half as memorable experience. I never said that you don't need any of those. But you can't say that if you do it the one way it will result in something good, and if you do it the other way it will be bad. And this is what the thread title and the question in the OP implies (at least to me). In addition, creating a certain feeling can be achieved in different ways, and vice versa one way might result in different feelings depending on the player. Clear idea doesn't meant everything is planned through to begin with. Obviously things will evolve. But it should be your idea and you should follow goals you've set for yourself. Never meant anything like that. There is no such thing as "authors ego" vs. the audience imho. I simple don't think that trying to create something for the audience instead for yourself will result in good games/missions. See modern AAA games or movies or popular music. All of those are created for the audience. I leave it to you to judge on their quality. Feedback is not bad per se. But there is a difference on whether you get yourself some hints on how to get things done or what to get done. Regardless, the OP isn't asking if setting and tone are necessarily for a good mission. It's asking for some suggestions for places to explore that would be appropriate for a small mission. If I read your comments in a certain way, you seem to be saying we shouldn't even try to offer up suggestion because there's limitless possibilities and none of us can say for certain what makes a good map. Although this is true to some extent, it's not really addressing the question. Edited by kingsal, 19 June 2018 - 05:22 PM. That is not what I was trying to say. What I was trying to express is that completely creating a mission based upon the suggestion of others might not be the best approach. Of course you can ask for suggestions in the long term, and as stated earlier the discussions raised by questions like these are interesting. To me it appears, though that the result of this question is that you get a list of things everyone else would like to see or thinks that it's good, but as the mapper is the one who will invest all the time and energy in creating the mission, it might be more important what he wants. In the end we don't do this to earn our living, so it doesn't really play a role whether our missions are liked by five persons or five houndret. it's not really addressing the question. Because I don't want to address the question. That was the essence of my post. Creating for the audience is actually pretty important, more in games than in any other medium. All media are form of communication, whether you want to express yourself, and others will just be witnessess, or you want to communicate, make people learn or feel something. Games are different than other media here, because you can read entire book or watch a movie without understanding it, while you can't do that in games. Games will punish you for not understanding their rules, with not letting you progress. That's why level design is mostly about communication: teaching and rewarding. And, as in every craft and medium, there are layers. There are certain things you make that will be noticeable to the audience. There will be technical things that your peers will notice and praise you for it (or dismiss you as a craftsman, if they find it cheap or low-quality). And the last layer is these few tiny things you really wanted to make, and you did, but probably noone but you will ever notice them Now we may look down upon pop music or AAA games, but their production quality is top-notch, as is the focus on the audience. It's just the content that is pretty shallow. Last but not least, IMO this thread is more like "tips and tricks", rather than some general way-of-life Yoda-style statements like "do or do not, there is no try", and that's why the OP question is worth adressing, as everyone has their own approach, tricks, and ideas. One of my favourite TMA missions was built for a contest by Yandros, but IIRC, he didn't have time to meet the deadline. It's called Off the Record, set at a multi-storey records office of The City. Some keyhunting involved, but not frustrating, and it's good for ghosting. Not a large building space, but what there is, he used very effectivelly. Very good custom ambient music, though it's effectivelly just one looping track. Sotha's Glenham Tower is in a very confined area, but the well thought out verticality and challenging evasion of enemies really make it feel much larger than it is. Edited by Petike the Taffer, 20 June 2018 - 03:28 AM. I totally agree - Contest missions are a great idea. We should try to get more of those going here on TDM! Personally, I think many TDM missions have already achieved experiences I have never gotten from any other games because of their unique design. And the mixture of "classic", "plot twist" and "supernatural" missions is actually fine. Edited by Cookie, 24 June 2018 - 02:38 PM. if there is a mission exactly like that, please pm me. Edited by freyk, 25 June 2018 - 02:21 AM. I would like to have (or make) a two level mini-campaign in which the player first has to prepare a heist and in the second part runs it. This would include a couple of optional (mostly hidden) objectives (maybe made visisble by finding clues or depending on difficulty) that influence the second part. The basic environment would stay the same, so the player can explore the map and see the changes that the decisions in the first part encompass. Maybe there already is something like that and I missed it, but I like the idea ever since I played the Sly Cooper games. This is the general tone of these games (although the mechanics are more "jump and run"y than real stealthy). Especially, this would make looting not "just another" objective, but really have influence on the game. And the number of guards can be adjusted, depending on the player having been spotted / causing alerts. Thus, ghosting is rewarded in the first part, but can be ignored in the second one. Edited by Destined, 25 June 2018 - 04:14 AM. I kinda am with Obs here, though I do understand where everyone is coming from. Its common these days to see a lot of emphasis on formulas, you see that when you are starting to study film making, all the "pillars", the "golden rules" of storytelling that are supposed to make your story more appealing, to make sure its considered good. I actually like that, I think its interesting to try and identify what makes people in a certain cultural environment tick, and its specially important when you are talking about a commercial product where you need it to have popular acceptance, as a matter of fact. But for me its all about that romantic moment where, when it comes down to it, its you who ultimately decides what you really want your creation to be, and even though everyone creates stuff hoping everyone else will love it, the truth is that when you are free, you create it for yourself, and other considerations take a back seat. There are plenty of good answers here already so all I wanna say on the subject is that I would like to see more and more unique FMs. Not in the sense of distancing itself from others, coming up with crazy concepts, but rather by having that personal taste that you can feel when playing. Sorta how Sotha and Obs put a lot of effort on the challenge, the sneaking, or how Melan and Biker invite you to explore. Springheel and Demagogue talk about human tiranny. Things like that. Oh, and dont push yourself too hard, trying to master too many features in one go. Focus on the gorgeous architecture, or the patrol chess game, or on the dense plot. Dont try to make them all perfect in a single go. Its just too much pressure for your first work, and you *will* burn out. The rewards for creating FMs are modest, and you should do it in a way as to be a positive experience for yourself, and hopefully others. I'm really loving the discussion so far. Very stimulating. Just yesterday, I've had this thought about making a vertical-oriented mission set wholly in an old lighthouse that's operational, but locked for the night. Some shenanigans happen between the one or two employees staying inside for the usual night shift, and some old group of enemies who want to settle a score, or something. Our thief protagonist gets caught in this heist or power play by the other people, and needs to stay hidden, while following his usual objectives and trying to knock out the adversaries. The more limited size of the rooms could provide a fair bit of challenge with taking out patrols safely. 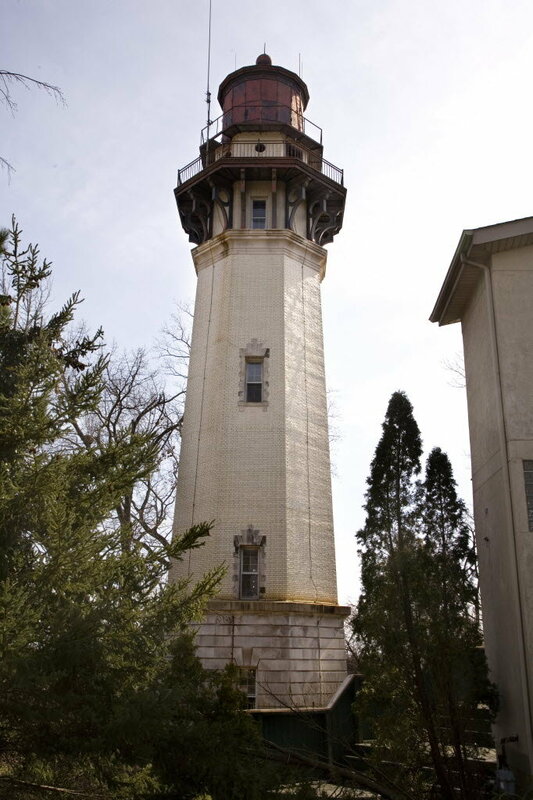 Not the typical circular-shaped, fairly short lighthouse with a 19th century metal-and-glass level for the beacon. A more archaic lighthouse, based on some real medieval Baltic designs, that really looks somewhat Gothic. And not somewhere out on a clichéd rocky cliff washed by waves, but simply next to the port of the city. Let's say it's the most important lighthouse around, for many miles of that particular coastline. Fairly spacious inside, with plenty of spaces to explore. That sounds rad! Taking a normal thing like a lighthouse and just scaling it up could give it a cool sort of fantasy/ otherworldly feel. Peppered with a couple fun patrols and that sounds like a great small FM. Probably just me but I'd like some rooftop missions and missions where you have to navigate through long streets to get to your real objective. Haven't seen too many of smaller missions like that, only larger ones. I already have one real world lighthouse selected as a template for the fictional one and I'm working on basic design documents for such a mission. I'm tempted to build the thing, purely for the vertical factor alone. I'll have to get better at building stairs, though ! Might not be the style you are going for, but I just thought it was neat. No stealin'. I've thought of it first and I'm going to make that mission. Edited by Atomica, 01 August 2018 - 11:34 PM. Wow, that is an insanely cool looking lighthouse. The pyramidal sides give it an intimidating and slightly alien aspect that really fits the Thief aesthetic. That will be a great setting for a mission. In general the escape concept is nice because it sets up immediate narrative stakes and tension, without needing much clunky exposition or having to devote map space to build up a slow burning first act. There’s also no obligation to place lots of loot or provide additional objectives, such as leaving the area, to make the mission feel narratively complete (which I imagine could be beneficial to containing feature creep and preventing map-maker burnout). The story arc of the level finds completion entirely through the primary game mechanic of the player’s interactions with the enemies and environment, which I think puts the focus in the right place for a short mission.